Ido Port, Alfred Molina, Gilya Stern et al. In 1947 Palestine, just a few months before Israel becomes a state. 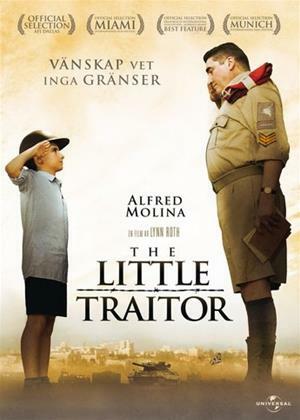 Proffy Liebowitz (Ido Port), a militant yet sensitive twelve year old, has grown up under British occupation and wants nothing more than for the occupying British to get out of his land. Proffy and his two friends are always plotting ways to terrorize the British until one evening, while he's out after curfew; Proffy is seized by Sergeant Dunlop (Alfred Molina). Instead of arresting him, Sergeant Dunlop escorts him back home and a friendship begins to develop in the following weeks. Proffy starts to consider Dunlop a father figure, as his own father is cold and remote. Dunlop, lonely and poetic, loves the spirited boy and reads the Book of Samuel, Dunlap's favorite part of the Bible. Proffy helps Dunlap with his Hebrew while Dunlap teaches Proffy difficult English words and provides the fatherly guidance missing in Proffy's life. As neighborhood tensions escalate between the British and the underground Jewish rebellion, their relationship becomes increasingly complicated. While Proffy has learned a great deal from his mentor, he is also shunned by his friends for this friendship and thus called a 'traitor' by his neighbors and community. The resulting trial and shock that he could have such genuine affection for his 'enemy' will change Proffy's life forever.